even in a place like London. Most of the bike shops cater for the commuter, road racer or mountain biker. It’s easy enough to find what you want on the internet, but it all lacks the crucial part of buying a touring bike, and that is to make sure the fit is correct and that you get the correct frame size. 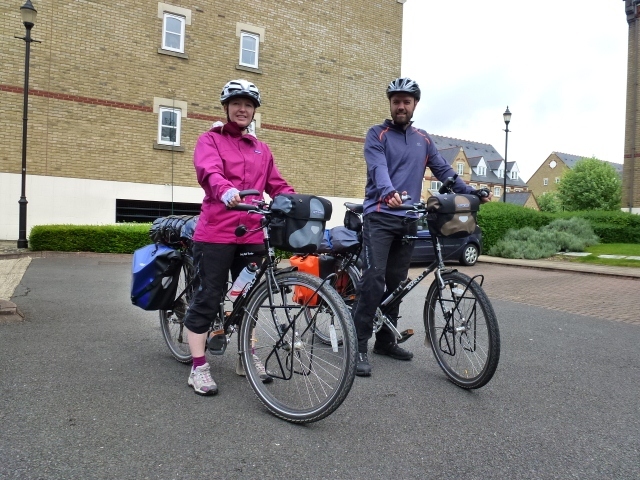 Seeing that this is our first adventure on bicycles and the fact that our knowledge wasn’t too great to start with, led us to the obvious choice of buying a complete bike, instead of a frame and building it up with components we think will work. This in itself could also be a very expensive exercise. 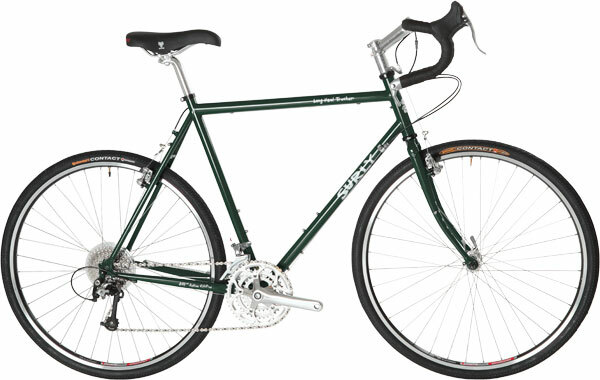 Our main criteria for choosing a bike was of course to have a steel frame. Most touring bikes will be made of steel, but you get the odd one out. 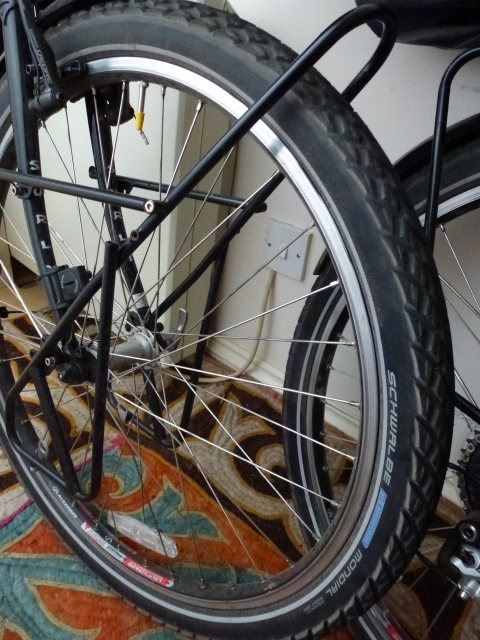 Deliberations and discussions, pros and cons were looked at and eventually, it was decided to go for the tried and tested Surly Long Haul Trucker with 26” wheels. They also have a frame small enough for Mandy. All our research suggested that you can’t really go wrong with this one; it’s got a good reputation with a ‘no-frills’ approach. Our second good decision was to get our bikes from Brixton Cycles (obviously located in Brixton, London). Not really local to us, but close enough not to have to travel half way across the country to try out the bikes and sizes. We received top service from them from the time we walked in, spending loads of time with us, talking about this, that and everything else and answering my million and one questions. Really just being very helpful and good customer service. Initial plan was to not change much from the standard set-up, sticking with the drop bars. The plan was to only change a few things on the bars itself, adding cross brake levers and moving the bar-end shifters to sit on top of the bar. This would’ve been fine on my wider bar, but seemed problematic on Mandy’s narrower bars. The brake levers and shifters didn’t really fit on top, and even if they managed to fit it, would’ve left it very crowded and not a lot of space for anything else. For this very reason we decided to change the drop bars to mountain bike type straight bars. This also enabled us to change our braking system, seeing that we had to buy the brake levers etc. We changed from the average cantilever breaks to the more powerful V-brakes which should help us stop a bit quicker, should we need to. Besides from changing the handlebars and brakes, not much else changed. We invested in some Ergon grips and bar ends to relieve a bit of the pressure on our hands, and also decided to change our pedals. A lot of people tried to convince us to use cleats or one of the other systems where your feet are locked in. We decided against this for a couple of reasons; we’ve never used cleats and using cleats will also mean that we’ll need to carry another pair of shoes. This might be ok for Mandy, because her feet are small, but if you have ‘ships’ like me, it cause all sorts of problems with space. Keeping all of this in mind, we decided to once again support Ergon and use their platform pedal. To date the new pedals seem to work really well – easy to place your foot in the right position and very comfortable with a big platform area. We’ve yet to experience any hotspots on our feet. Fingers crossed they perform well and are durable. Choosing our pannier bags and racks wasn’t too difficult either. 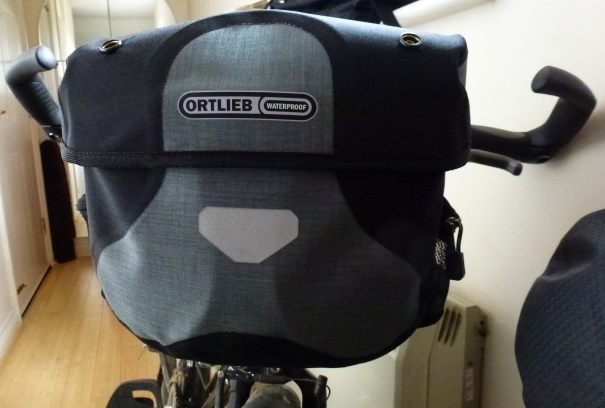 We decided on Ortlieb Roller Classic, front and back, for the panniers with the Ortlieb bar bag. Again, mostly good reports on these, with the odd person not liking it that much. We also decided to rely on German engineering for our pannier racks and decided on Tubus Logo rear rack and Tubus Ergo for the front. Finally, a touring bike won’t be complete without a comfortable place to sit, and for this we decided to (once again) go with a tried and tested product. 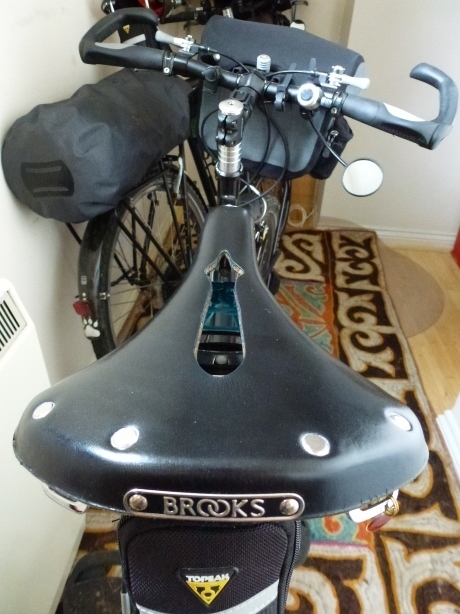 Brooks saddles have been around for over a hundred years and not much has changed. We decided on the Brooks B17 Imperial saddle, with the all important ‘cut-out’ to relieve a bit of the pressure on those delicate bits. It takes a little while to get comfortable (or broken-in), seeing that it’s leather. After the initial 200km of riding, it was just about comfortable. Let’s hope it serves us well. 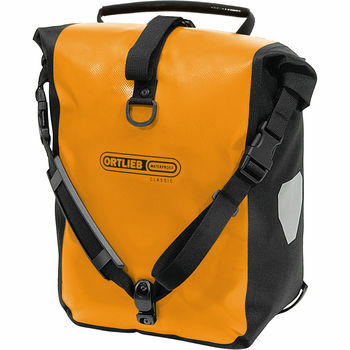 Things we need to get to quickly will be kept in the Ortlieb Ultimate 5 Plus Bar Bag. This bag is big enough to carry most of our important documents and Mandy's smaller camera. 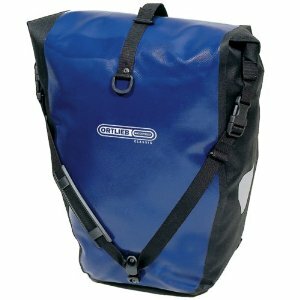 Waterproof, durable and you can lock the bag to the bike with the secure lock mechanism. Schwalbe is has been around for a long time making very good road, mountain bike and also touring tyres. We were hoping to use the very popular Schwalbe Marathon XR, but for some unknown reason, Schwalbe decided not to make this one any more. They replaced it with the 'new and improved' touring tyre (according to the marketing gurus at the factory) which is the Mondial. The size we're using is 26" x 2.00. Fingers crossed it is as good as the Marathon XR and if all goes well, we might even be able to finish our trip on them. We did however decided to each carry one Mondial foldable tyre, just to be on the safe side. 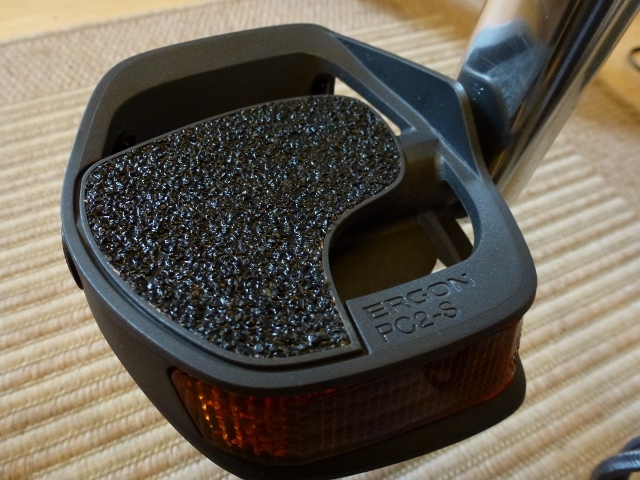 The very big and very comfortable Ergon pedal. As mentioned before, we won't be using cleats or clip-ins, mainly for practical reasons. Again, a German product, with a lot of thought going into the design and engineering process. Indeed a very comfortable pedal, made from top quality parts, joining up with companies like Busch and Muller who are well known for their excellent lights. B&W is responsible for the reflective bits on the pedal. All our gear will be carried on Tubus racks. 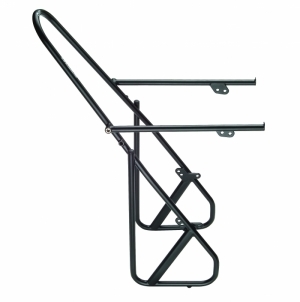 The rear Tubus Logo rack can carry up to 40kg and the front Tubus Ergo rack can carry up to 25kg. I'm confident it will be able to cope with our load of approximately 5-6kg in the front and about 15kg on the rear. After all, the last thing you would want is to have a rack break half way through a trip. These are the main bits on our bikes - if you want to see a more detailed packing list, have a look at our 'tools, spares and packing list' page.